Note: this is an abridged version, download the full white paper here. The monumental advances of the last century — the automobile, the airplane, the personal computer and mobile phone, and the Internet — can almost certainly be attributed to a regulation of supply and demand by Adam Smith’s “Invisible Hand.” The father of capitalism proposed the theory in 1776, positing that “enlightened self-interest” naturally produces the best outcomes for all. 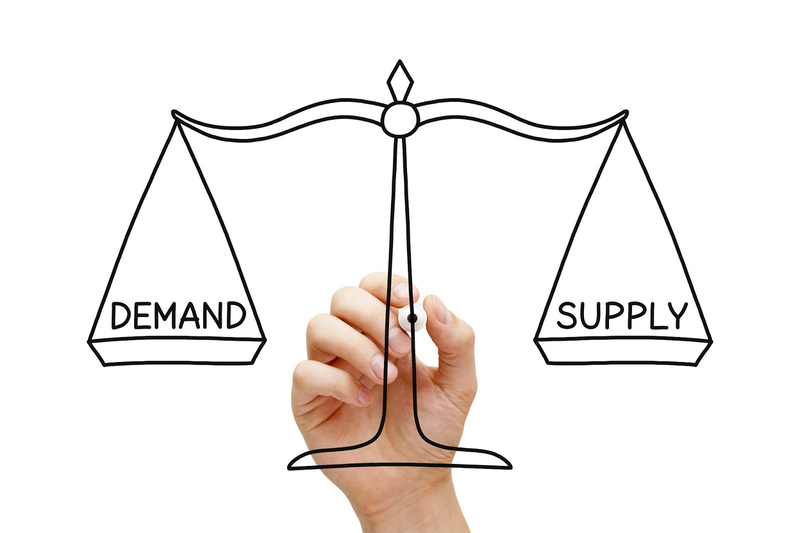 The notion of choice under scarcity (supply and demand) went unquestioned until recently, as the market has been experiencing a slow but cataclysmic shift. More products are digital and experiential; they’re comprised of bits and bytes and stored in the cloud, not assembled in factories and sold in stores. The march of progress has rendered our concept of supply and demand obsolete. Even more recently, British economist Ronald Coase posited that it’s in a company’s best interest to expand and become a “firm” — a vast entity owned collectively by shareholders — in order to lower their costs and increase efficiency. Nearly four decades later, Michael Jensen and Dean William Meckling’s 1976 paper “Theory of the Firm: Managerial Behavior, Agency Costs and Ownership Structure” led, indirectly, to a period of corporate growth in which shareholders shaped the effects of capitalism and customers were often overlooked and underserved. Consequently, capitalism — a system intended to meet demands and dispense opportunities — served the greater good with less and less efficacy. Management focused on increasing shareholder wealth (as well as their own) and societies eased into an era of abundance. Desperate to increase shareholder benefits and secure their positions, executives acted against their broader self-interests and ended up harming their customers, their employees, the world’s most vulnerable populations, and themselves. Meanwhile, a massive decline in regulation (beginning in the 1970s and continuing in the 1990s) pshed society toward economic instability through a series of smaller scale booms and recessions. The steady evolution of technology protected society largely from a great depression, but since that same technology is rendering the theories of Smith and Coase obsolete, we’re approaching a tipping point. The decline of the spirit of capitalism is reverberating slowly, but surely, around the world, drawing the ire of its usual critics, and prompting the strong commentary of more unexpected voices, too. In 2015, Pope Francis wrote a groundbreaking encyclical entitled, “Laudato Si’: On Care for our Common Home.” It’s a detailed censure of humanity’s collective failure to care for the environment while pursuing capitalistic interests, the effects of which have only hastened a global, and potentially catastrophic, climate crisis. The Laudato Si’ coincided with a watershed moment: capitalism is at a crossroads. Previously focused only on shareholders and profit margins, not consumers, faltering businesses have required governments to intervene on behalf of children, workers, the environment, and businesses deemed “too big to fail.” With the new capitalism — Capitalism 2.0 — entrepreneurs are choosing to be driven by both mission and profit. The culture of the firm has been disrupted. The new Gig Economy, driven largely by freelancers, means the firm has a lower survival rate, which leaves more opportunities for startup companies to transform the corporate space. The principles of Capitalism 2.0 are currently unfolding thanks to The Laudato Si’ Challenge (named by His Eminence Cardinal Turkson and inspired by the November 2016 Right Now! Conference), which is assisting startups as they expand their solutions to the world’s boldest challenges. The challenge includes a call-to-action for businesses to lead the way in care for our common home by protecting the ecological diversity of the Earth and humankind. The Laudato Si’ Challenge is one of a number of strategies to stimulate mission-driven efforts that are addressing threats to humanity like climate change, but is one of the only initiatives that prioritizes social enterprise efforts that are driven to achieve a mission and turn a profit. 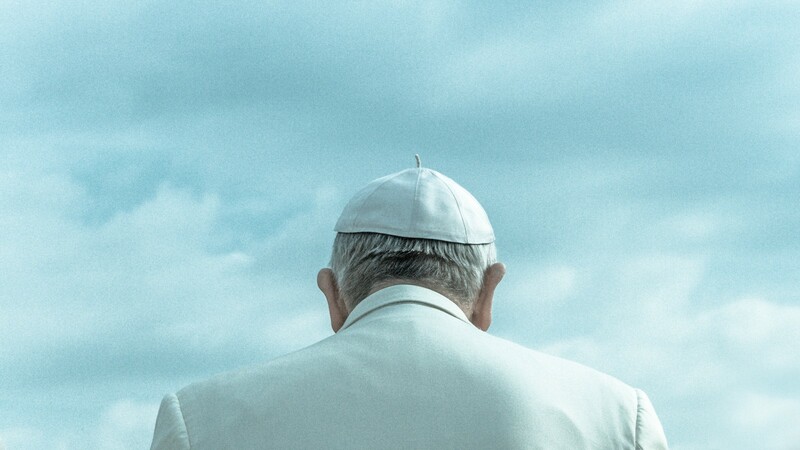 Pope Francis’s encyclical touches on a number of problems resulting from the pursuit of progress that is unfortunately often accompanied by a general disregard for the planet. His holiness mentions the following scourges specifically: pollution, throwaway culture, climate, water, loss of biodiversity, decline in human life, breakdown in society, global inequality, and weak responses to the difficulties at hand. While we’ve made advances in technology, that progress has come at the expense of people living in developing countries. We deplete their natural resources and exports while making no effort to replace them. Meanwhile, the jobs we’ve relied on for generations are getting outsourced or dying out forcing many former workers below the poverty line. Experts such as Roger Martin, author of Fixing the Game, believe this gradual decline started when executives centered their attention on shareholders instead of consumers. A pervasive emphasis on the expectations market has reduced shareholder value, created misplaced and ill-advised incentives, generated inauthenticity in our executives, and introduced parasitic market players. The moral authority of business diminishes with each passing year, as customers, employees, and average citizens grow increasingly appalled by the behavior of business and the seeming greed of its leaders. At the same time, the period between market meltdowns is shrinking, Capital markets — and the whole of the American capitalist system — hang in the balance. Thus, the corporate world is plagued by continuing scandals. Executive compensation has increased while corporate performance has declined, and many executives have lost sight of the psychologically and economically rewarding business of creating value. In its relatively short lifespan, Capitalism 2.0 has emerged with two promising strains: the cross-subsidy model (or 1:1 model), in which consumers can effectively donate a product for every purchase they make, and the mission-driven model. The 1:1 enterprise model, espoused by TOMS, Warby Parker, Bombas, WeWood, and so many more, has endured its share of criticism for giving humanitarian aid at the expense of economic advancement in the developing world. Still, this model launched a broader interest among business owners in social entrepreneurship, even carving out space for businesses that are not just socially conscious, but propelled entirely by a belief that sustainable solutions for problems like hunger, waste, water, and climate change can be as lucrative as foot-, eye-, and wrist-wear — perhaps even moreso. Enter the mission-driven enterprise, typified by companies like Tesla and the nine startups who are participating in The Laudato Si’ Challenge. These are the representatives of Capitalism 2.0 who embrace double sustainability and are pioneering models that enable solvency for businesses and for humanity as a whole. Auxiliary virtues of Capitalism 2.0 include transparency and accountability. Johnson & Johnson demonstrated these values during the Tylenol crisis of 1982. Within a week of the first death that came as a result of tampering in the Chicago area, Johnson & Johnson ordered a recall of every single bottle of Tylenol in existence. They put an immediate stop to all production, all advertising. Undoubtedly, the moves came at a tremendous profit loss, but the company credo explicitly names the “first responsibility is to the doctors, nurses and patients, to mothers and fathers and all others who use our products and services. In meeting their needs everything we do must be of high quality.” Putting customers first allowed Johnson & Johnson to survive a devastating tragedy and continue to serve the people who rely on them to manufacture impeccable products. The customer-first philosophy, long considered optional by executives desperate to meet shareholders expectations, is becoming the rule rather than the exception because it’s better for people, and it’s better for pocketbooks. Each technological revolution introduces a class of professionals that were unimaginable just a generation before. Workers in the Industrial Revolution couldn’t fathom a world that required automotive technicians, airline pilots, and telephone operators, and members of the Greatest Generation are mystified by professional titles like “Growth Marketer” and “Data Scientist.” Our grandparents came of age in a society that still factored farming into the GDP. Today, there aren’t enough people doing farm work to factor it into unemployment statistics. Just as farmers from the 1850s couldn’t predict the factories of late 19th century, and how turn of the 20th century manufacturers could foresee changes that would result from auto and aviation industries would, we similarly can’t imagine the jobs that will exist in 25 or 50 years. The Information Age will usher in more jobs than ever before; the nature of those jobs remains to be seen. As it has for centuries, this turnover will likely produce a painful cycle wherein jobs are lost, replaced, and lost again. The magnitude of the economic turmoil will depend on how disruptive the new technologies are. Artificial intelligence, robotics, and machine learning are profoundly disruptive, which means our communities are experiencing, and will continue to experience, financial discomfort, political unrest, socioeconomic uncertainty. A laid-off coal miner West Virginia can’t fill a software engineering position in Silicon Valley, for instance. These are the people who will need our financial, educational, and emotional support as they gain the skills they need to compete in a new economy. Nevertheless, history will show that the Information Age was much more constructive than not — and actually became one of the biggest job creators of all time. Moreover, if we place our focus on what consumers need, we can ensure that our entrepreneurial endeavors will be relevant and profitable, and that laborers will find meaning and fulfillment in solving problems for a living, whether on a small or grand scale. This is the vision of The Laudato Si’ Challenge. Nine startup companies, selected from a set of more than 300 applicants, traveled to the Vatican to refine and accelerate their mission-driven enterprises. Each one endeavors to combat one (or more) of the devastating threats to the world today, at an affordable price. Mandulis Energy — Renewable energy that turns agricultural waste into electricity and clean cooking fuel. 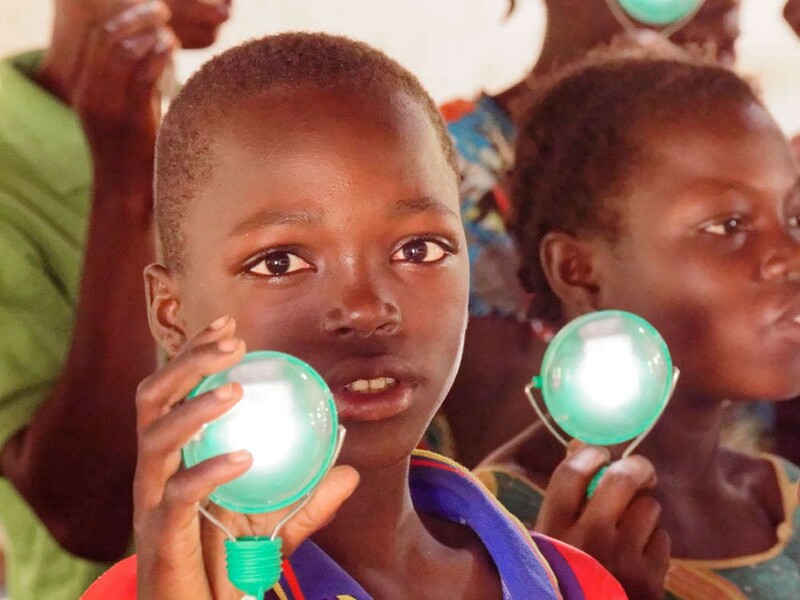 Nokero — Efficient solar powered lights to decrease indoor air pollution from kerosene. Smart Yields — An app that allows farmers to have insights into how to grow crops and improve efficiencies of current crops. Rise Products — Upcycles waste from breweries into high protein, low carb, cholesterol free, artisan flour. Aqus — First income-generating water filter that is designed to be affordable to people in developing worlds. Innov8tia — Patented microwave technology that changes toxic sludge into clean water and energy. ProTrash — Pays people for recyclables with cash cards that can only be used for food, medicine, or other necessities. Scooterino — The only ride-share service using scooters in Europe. Capitalism 2.0 is just that: capitalism. But instead of prioritizing shareholder value at the cost of efficiency, transparency, and accountability, the new generation of entrepreneurs will prioritize the customer experience first and their broader mission (a close) second. This is not just the most moral way to run a company, it’s also the most profitable. The ushering in of Capitalism 2.0 will not be without turbulence. There will be disruption, as there always is when society moves from one technological phase to the next. Some jobs will disappear. Some workers will be displaced. But as the New Era of Business supersedes the shareholder driven status quo, it will find novel ways to serve its customers, and better ways to educate, train, and utilize its workers. Meanwhile, The Laudato Si’ Challenge will provide funding and mentoring for the young entrepreneurs who are answering the Pope’s clarion call to care better for our common home, Earth, and its most vulnerable people. Today, this approach to business is still novel. In ten years, it will be standard practice. And hopefully, the next generation will never imagine that Capitalism was done any other way.